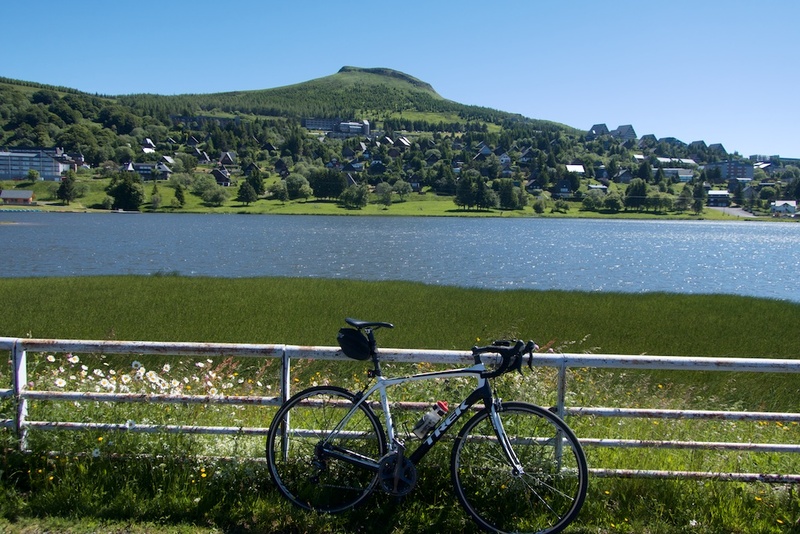 The Massif du Sancy has the highest peak in the Massif Central. 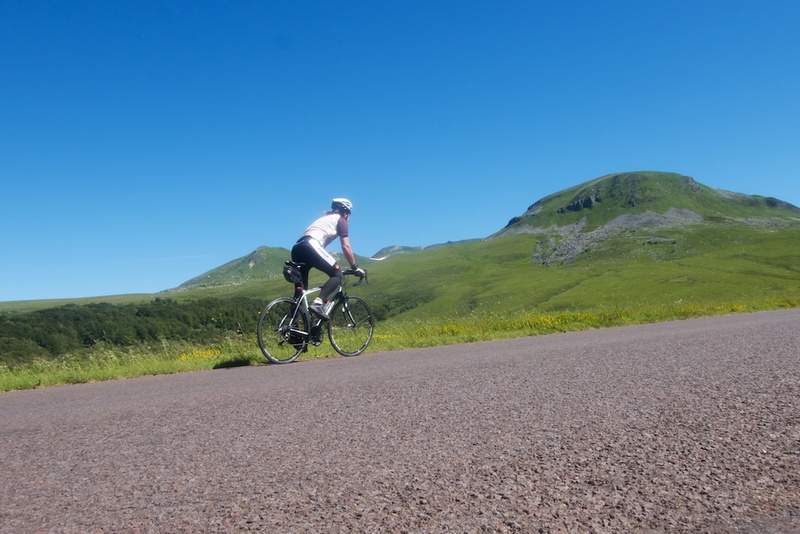 This loop visits three cols while circling this peak, the Puy de Sancy (1886 metres). 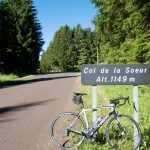 I started in the old spa/ski town of La Bourboule, climbing immediately on quiet roads towards Col de la Croix Sœur (1149 metres). 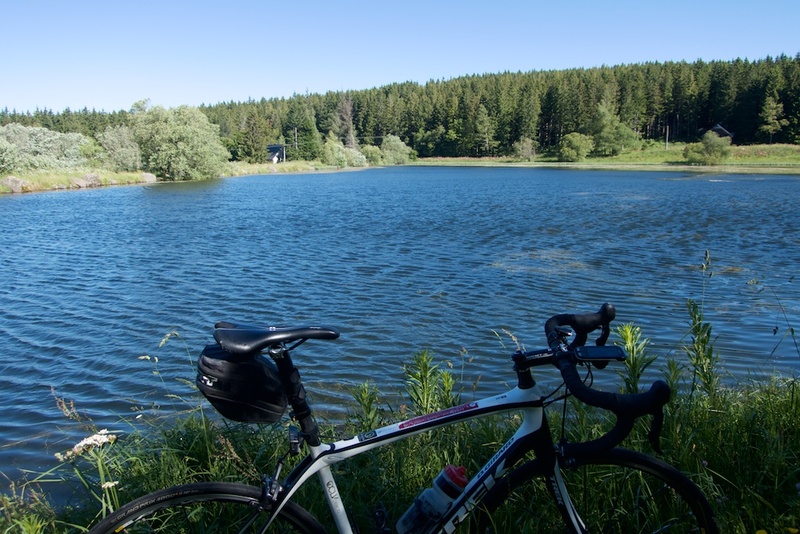 There’s a small lake/dam at the col.
Here’s another loop that starts/ends in La Bourboule and visits 4 cols. 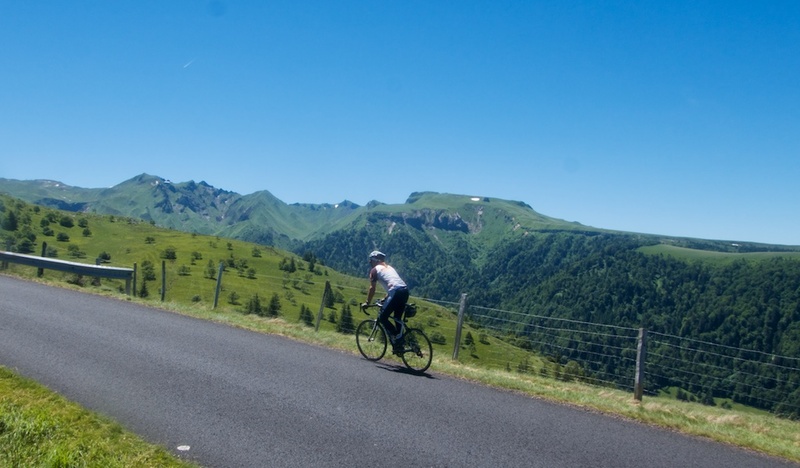 Note, both loops finish with the interesting Col de la Croix St. Robert. 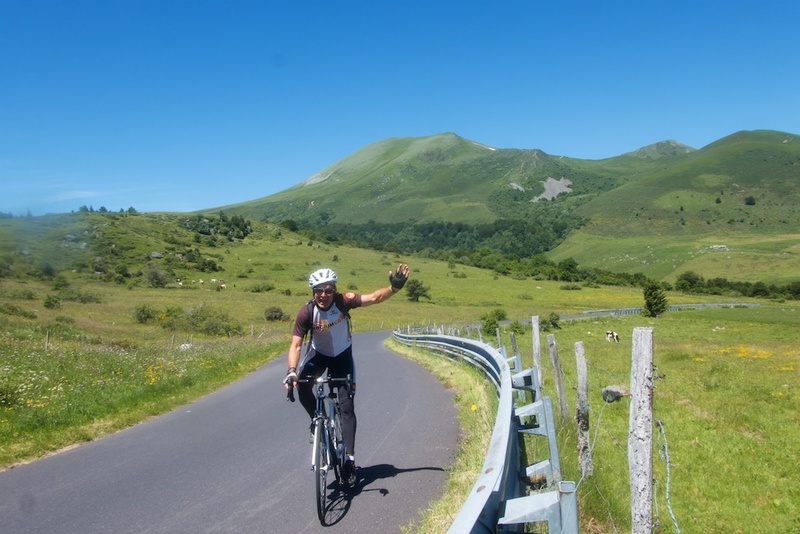 The route descends Col de la Sœur and meanders through scenic country until Picherande, where the route turns towards the higher mountains. 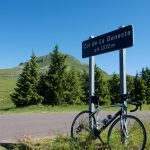 There was a crazy head-wind, so while not too steep, it took me a while to reach Col de la Geneste (1372 metres). Down the far side of the col is Super Besse, a medium-sized ski station that has hosted four Tour de France stages, most recently in 2011 in a stage won by Rui Costa. My route was basically arriving from the back side. If you see a French town with Super in the name it will be a ski station above the town that follows Super. So Super Besse is above Besse, Superbagnères above Bagnères, etc. After Super Besse I took some tiny roads as I headed towards the start of Col de la Croix St. Robert. 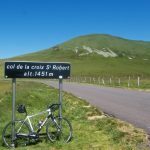 Of the seven cols I climbed in the two rides from La Bourboule, Col de la Croix St. Robert is my favourite, so I was happy to ride it for a second time. From the col it’s 14 downhill kilometres to the start in La Bourboule, passing through another old spa/ski town, Mont Dores. 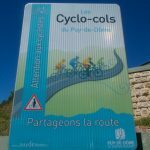 Overall, another very good col hunting loop in the Massif Central. Quiet and scenic. 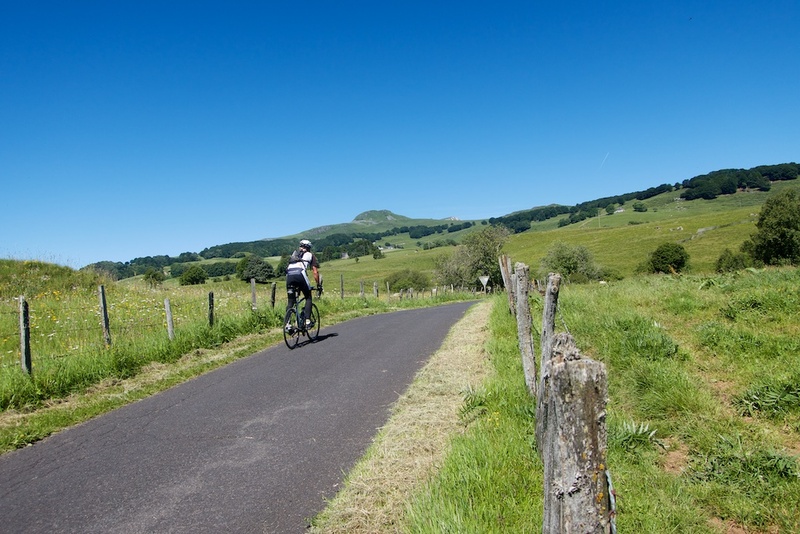 The Puy-de-Dôme department has an excellent network of signed routes – see here for details, gpx files, etc. 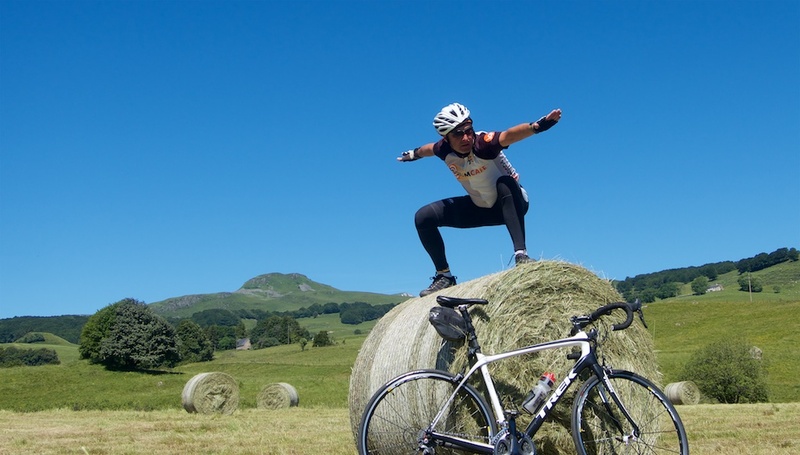 Trop beau le massif du Sancy ! 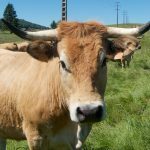 Il faut au moins pousser jusqu’au pas de Peyrol et sa région qui est top aussi.